Daisy and Basil take Ladybird on holiday… but while learning to scuba dive, Ladybird sneaks off in a submarine into Ocean City! Can you help Daisy and Basil find him? A stylish search-and-find storybook packed with hilarious visual narratives and loads of things to spot. Join in the hunt and help look for Ladybird! Daisy and Basil and Ladybird set off on a much needed holiday, away from the busy detective agency. They decide to go scuba diving, but as sally the instructor teaches them how to dive, Ladybird sneaks away in a submarine and off into Ocean City. Can the pair find Ladybird? Follow Daisy and Basil as they look for Ladybird all over Ocean City. Is he at Seaweed Central Station, Octopus Gardens, the building site or the art gallery? This stylish search and find picture book is full of witty, colourful illustrations packed with visual jokes and all sorts of things to spot to delight children for hours. 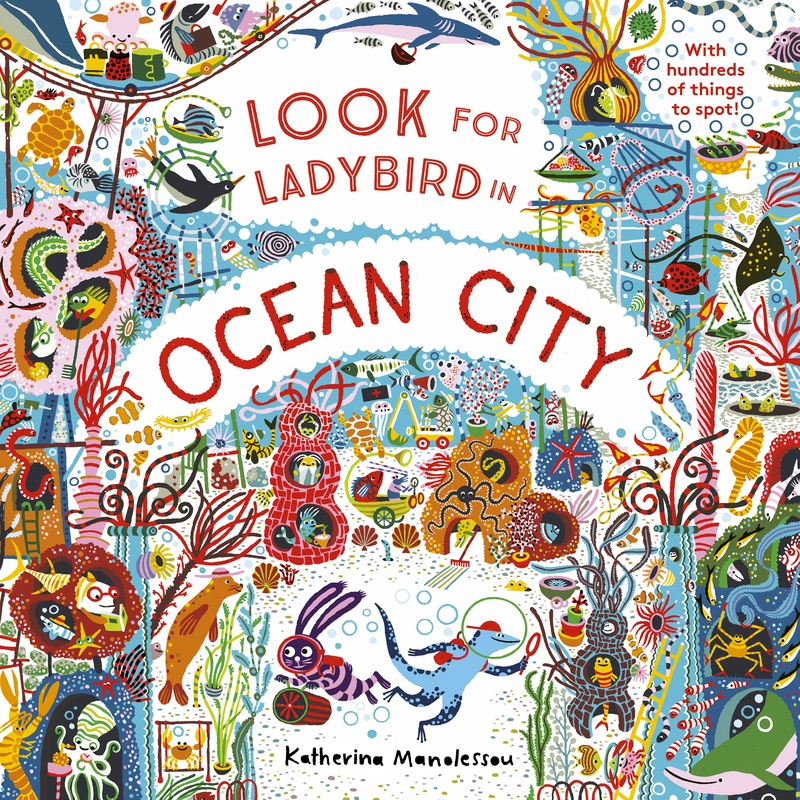 KATHERINA MANOLESSOU is an up-and-coming illustrator who has worked with Ted Baker, The Guardian and Random House, and who is a regular part of the East London art/design scene, appearing at Elcaf this year and becoming Associate Lecturer at Camberwell College of Arts. Her debut picture book - Zoom, Zoom, Zoom - was published by Macmillan Children's Books.